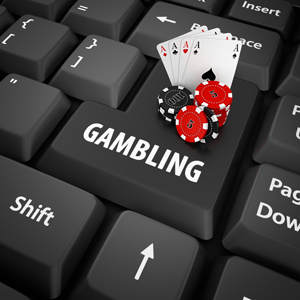 Online poker players have had a plethora of poker gaming to enjoy at 888poker as of late. 888poker launched XL Eclipse, a poker series featuring 197 tournament events on the schedule, and players showed up in droves to compete. The large poker series finished up on Sunday with the final 17 tournaments of the schedule all taking place on the same day. In total, the final day provided more than $2.3 million in guaranteed prize money spread out over these events. Prize pools were boosted as players logged on to compete in large numbers. The main attraction during the day was the Main Event, which had a guaranteed prize pool of $1,500,000 on offer. The best names in online poker showed up to compete in the hopes of winning the first-place prize. In total, 1,149 players registered to compete in the XL Eclipse Main Event. The tournament had a buy-in of $1,050 and offered the large $1.5m prize pool. In the end, it was CllsDntMttr who earned the first-place prize, outlasting the field to earn $273,037.60 for his efforts. With so many events on the schedule, there were several players who were able to claim big wins. During Event #184, the $150,000 Mega Deep tournament, it was online player neverfoldQ5 who earned the first-place win after facing off against YourMagical in heads-up play. This tournament had a buy-in of just $215, making it an affordable option for players. 888poker now prepares for another XL event in January. The online poker site will be offering the XL Blizzard Championships in January 2018. No information is available at this time on the upcoming winter version of XL poker but players should expect a large amount of cash up for grabs as well as satellites to earn seats to the major events of the series.